Jamie MacSween wants to make a difference to the motor insurance business and believes he is well on the way to changing the way drivers buy policies. His mission is simple: to cut the cost of motoring by giving insurers more information on their customers through newly-developed software which he says will do just that. MacSween’s Falkirk-based insurance telematics company drivenlower has developed a device for collecting data on driver behaviour which can help reduce insurance premiums. The data from the device, which is attached to a vehicle’s windscreen, is examined by insurers and enables motorists to achieve lower premiums. Now he’s marrying it with a piece of software which helps improve the ‘conversation’ between motorist and insurer. Last month he acquired Edinburgh-based Logicalware whose customer service support software helps direct enquiries to the appropriate operator. He says the technology will improve the customer experience by removing frustrations and unnecessary delays. “Motorists normally only ever interact with their insurer at renewal time or when they make a claim,” he says. MacSween believes that the combined technology of the two businesses will “empower” the motorist and help insurers to better understand their customers. The eight staff at Logicalware’s Haymarket office have joined drivenlower in Falkirk, taking the total headcount to 17. Donald Cameron, an investor in Logicalware, will become a non-executive director of the enlarged company. “Bringing the two businesses together should make for a more interactive experience,” says 41-year-old MacSween, who may be operating in the software sector but has no training in the industry. “I can vaguely understand the software process rather than the detail,” he admits. He is a product design engineer who, after graduation, spent some time working for Fiat in Turin. He returned to Scotland after being approached by the chairman of Autosonics, a company in Alloa where he had undertaken a student placement. He spent 14 years at the company, buying out the partners and then selling it in early 2015. He acquired drivenLower and engaged his team to advance its software which he now wants sell to more insurers. “We are looking at building traction over the next few months and bringing the two sides of the business together,” he says. Turnover in 2016 hit £1 million and the company was “just about in profit”. He says it will not be profitable for 2017 but will be back in the black this year. He said Logicalware will add approximately £500,000 to revenue. He has been helped on the way by a number of seed funders, notably his uncle Angus, co-founder and CEO of computer networking company Iomart, and the serial entrepreneur Bill Dobbie. DrivenLower is a Scottish Enterprise managed high growth client and gets some kit from Microsoft. 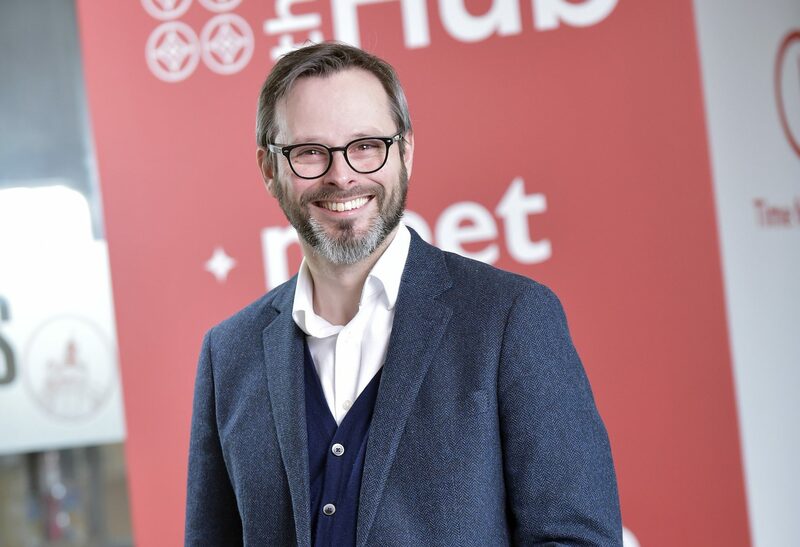 The business is based at The Hub, a recently-developed facility for start-ups in Falkirk town centre and MacSween is a big fan. Younger people are now so used to dealing with technology they forget they need to talk to people. Who would be your three ideal dinner party guests, past or present? Jim Clark, the former world champion racing driver, who could drive around a corner faster than anyone else. I would just love to know he he did it.